In the fall of 2016, Austin Smith joined Patterson as an Analyst where he is responsible for supporting the Patterson team with a defined focus on underwriting investments and developments, preparing financial models, processing investment offerings and performing other tasks. Additionally, Austin works with the team and directly with clients to create the appropriate capital solutions for their unique real estate opportunity. $88 million loan financing the acquisition of a 462,000 square foot office property in Bellevue, WA. 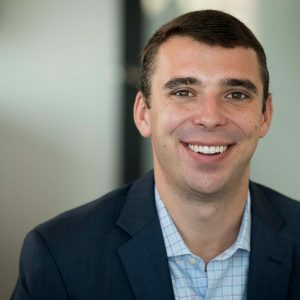 Prior to JPMorgan, Austin was an intern for GE Capital Real Estate in Atlanta where he learned valuable skills supporting the Southeast originations team in reviewing commercial real estate transactions from receipt of deal package through loan closing. Major: Finance and Real Estate — University of Georgia. Having grown up in Alpharetta, GA, Austin is a native of Atlanta and went to Alpharetta High School. Austin enjoys spending time with his family, playing golf, going to the park, and attending sporting events and concerts.